Four time Latin Grammy Nominee and Steinway Artist Gustavo Casenave presents his new piano solo works at the National Opera Center in NYC, on Tuesday November 27th, 2018. 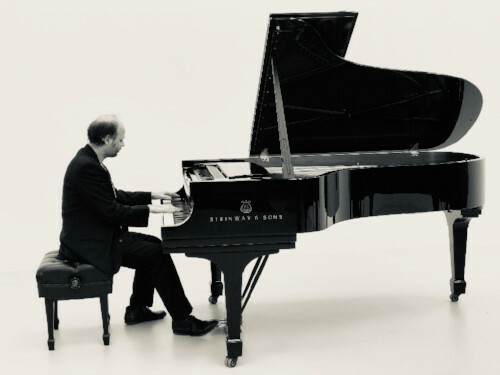 Born in Montevideo, Uruguay, and living in the US since 1994, Casenave has achieved national and international recognition both as a pianist and as a composer, including multiple Latin Grammy nominations, Steinway Artist, and several prestigious awards . This time the audience will have the chance to experience Casenave's music in an intimate setting, at the beautiful Scorca Hall at The National Opera Center in New York. His music, often described as an original and powerful blend of Classical, Jazz and Tango music. He has 30 albums as a band leader, and has performed with top artists from Jazz, Classical and Tango, including John Patitucci, Manolo Badrena, Paquito D'Rivera, Yoyo Ma, and Eddie Gomez to name a few. "....ferocious performance, emotionally wrenching playing..."
"...enough cant be said, sensational musician..."
"...Gustavo Casenave led the virtuosic ensemble, show stopper..."
"...the onstage orchestra led by musical director Gustavo Casenave was dynamite..."
"...one of the best pianists our country has..."
Next Tim Armacost, Gary Smulyan, John Patitucci & Al Foster @ Jazz Forum This Weekend!